Way back in October, 20th Century Fox put Neill Blomkamp's Alien 5 on "indefinite hold," as the studio moves forward with Alien: Covenant. Now that Alien: Covenant is set for release on May 19, 2017, with the studio recently moving it up from its previously-announced August 4, 2017 date, fans are hoping to hear more about Alien 5 soon. 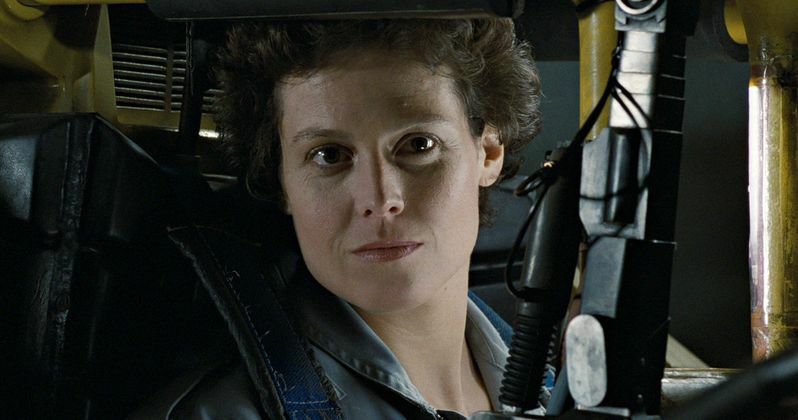 Sigourney Weaver is set to return as Ripley, and now the actress has revealed that the impending sequel will bring Ripley's story to a close. Here's what she had to say while praising Neill Blomkamp's script. "I hope that Neill Blomkamp and I will eventually get back to it. He's written such a wonderful script. I look forward to finishing Ripley's story." These comments in her new Variety interview mirror the actress' previous statements in an interview from July, that this story gives her beloved character Ellen Ripley a "proper ending." The actress revealed in that interview that Alien 5 serves as a "tribute" to the work all of the other directors have done on the franchise, while "going in a new direction." This project has previously been rumored to be a direct sequel to the 1986 classic Aliens, which will essentially ignore the stories told in Alien 3 & 4, teasing that those sequels go in one direction after Aliens, and Alien 5 goes in another. Neill Blomkamp himself has stated that he wants this story to be a continuation of both Alien and Aliens, with his initial concept art featuring Aliens characters such as Ripley and Michael Biehn's Hicks. There have also been rumors that this story will feature an adult version of Newt, played by Carrie Henn in Aliens and Lance Henriksen's Bishop. IGN recently caught up with Lance Henriksen to discuss his role on The CW's Legends of Tomorrow, but talk turned to Alien 5. Here's what the actor had to say about the project, also offering plenty of praise for Neill Blomkamp and his script, teasing that his android Bishop might return in some capacity. Michael Biehn revealed in August that Alien 5 is still happening, revealing that he thinks it would be "embarrassing" if the studio didn't let Sigourney Weaver return with the movie "she really wants to go out on." The actor also confirmed in that interview that Neill Blomkamp's take would ignore the third and fourth films, while holding out hope that the movie will still be made at one point. 20th Century Fox hasn't given the green light for Alien 5 quite yet, but hopefully that happens soon.